Bee Token, featured as this week’s ICO Pick, last week announced a new partnership with the decentralized insurance project WeTrust, to provide crowdsourced security deposits and improved risk assessment generated from user history on the Beenest platform. Bee Token’s initial coin offering kicked off on Wednesday but was stung by a USD 400,000 phishing scam the following day. The company was profiled in the SF Chronicle last week. It aims to provide a decentralized, Airbnb style home sharing platform, with zero commission fees and automatic dispute arbitration. It will now support user reputation features, enhanced through the new WeTrust partnership, according to the statement. 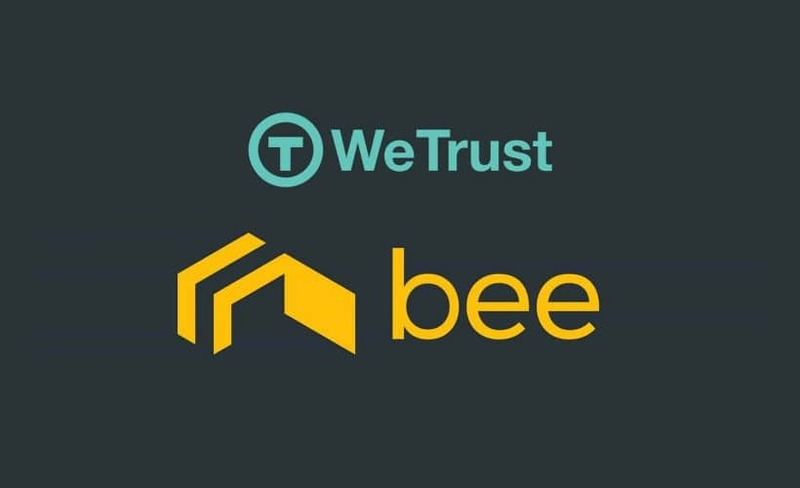 WeTrust will aide Bee Token by helping to incentivize good behavior among network users through analysis of trustworthiness and creditworthiness, and by allowing hosts to minimize their insurance expenses. WeTrust raised USD 5 million through a successful crowdsale in spring 2017. Bee Token and the Beenest protocols for payment, arbitration and reputation are also designed to allow existing sharing applications like Airbnb or Couchsurfing to tokenize their platforms, expanding access and use of cryptocurrencies within the sharing economy. Bee Token raised USD 10 million in a recent ICO presale. To learn more about Bee Token and its upcoming public sale, visit https://beetoken.com/. To learn more about WeTrust, visit www.wetrust.io.